Christos Ordoudis will defend his PhD thesis on the topic Market-based Approaches for the Coordinated Operation of Electricity and Natural Gas Systems. The PhD thesis has been carried under CITIES Work Package 4 on Intelligent Aggregation and Markets. 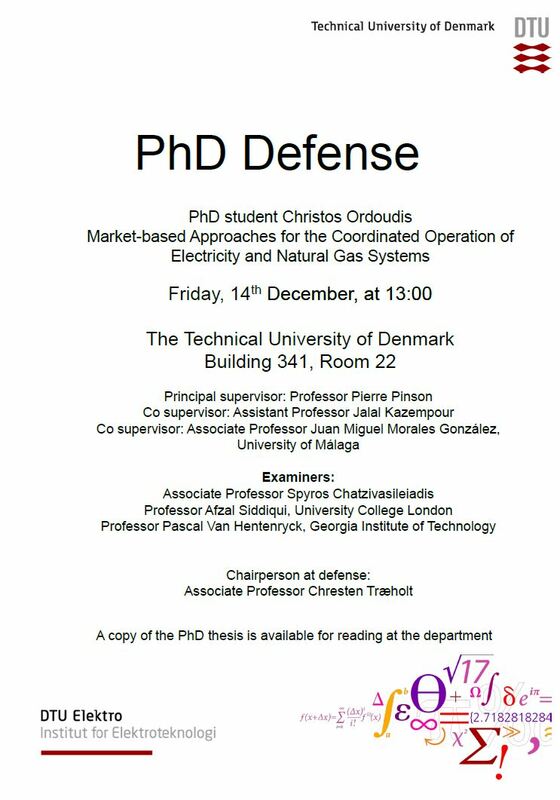 The defense will take place on 14th December, 13.00, at DTU Lyngby Campus, Building 341, Room 22. Please see the announcement below for further information.